The bridal show is this weekend! Plan to attend -hope to win! It’s hard to believe that the Durham Region’s longest running Bridal Show is already this weekend! We can see by ticket sales that this show is going to be a great success! Don’t miss out. If you or any of your family or friends are getting married in the near future, mark your calendar for January 20th 2019, as you will want to attend the 30th Annual Durham Region Bridal Event & Fashion Show. With complimentary martini tasting (you must be 19 years of age and provide proof), High Tea at 3pm presented by the Oshawa Golf & Curling Club, a still fashion show and more, t’s all about glitz, glamour and luxury. Four hundred guests, 200 at 11am and 200 at 2pm, will receive a Sterling Silver pendant necklace valued at $100 from our show sponsor Oshawa Jewellery Inc. This is Durham Region’s largest bridal show and brings together a carefully selected group of reputable and award-winning wedding vendors under one roof. Find inspiration and talk to area vendors about how they can help bring your vision to life on Sunday, Jan. 20 from 11am to 5pm to be held once again at the Oshawa Golf & Curling Club at 160 Alexandra St. in Oshawa. Many will offer promotions especially for those attending the event. No rush to be there right at 11am, as we welcome the late comers at 2 as well. Don’t forget, we are giving away 200 Gift Bags at 2pm as well! With it being our 30th Anniversary, there will be 30 incredible prizes to give away that day! See full list of prizes under the SPONSORS tab. As part of a ‘still fashion show,’ mannequins featuring fashions from participating bridal boutiques and tuxedo shops will be strategically placed throughout both levels of the venue, allowing you to see the gowns and tuxes up close. You can then visit the exhibitor at the booth indicated on the mannequin to learn more. Catering will also be hosted by the Golf & Curling Club. Enjoy martini tasting hosted by the venue host beginning at 1pm. Participate in High Tea at 3pm (a huge hit last year). High Tea is on a first come first served basis. These events are all sponsored by Oshawa Golf & Curling Club. Choose from one of two admission packages: $12 in advance, buy 4 or more in advance and pay $10 each or buy a ticket at the door for $15 CASH. Cost to enter includes tax! Please bring cash to buy tickets. Tickets can be purchased in advance at www.durhambridalshow.ca. Print off your ticket purchase receipt and bring it with you. We will exchange it for an actual ticket. That ticket will be used for our draws! Children 17 and under are free but aren’t eligible for our draws. Ample parking will be available at the golf course. If you attended the event last year, you’ll want to return to meet a great variety of new exhibitors and enjoy the luxurious new venue. 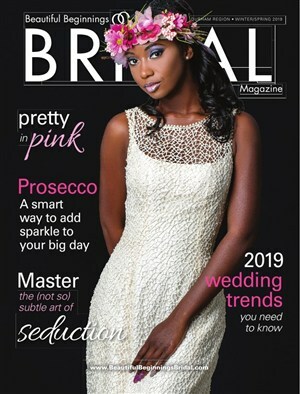 The Durham Region Bridal Event & Fashion Show is sponsored by Beautiful Beginnings Bridal Magazine, which is distributed to select retailers and suppliers throughout Durham Region in December and June.